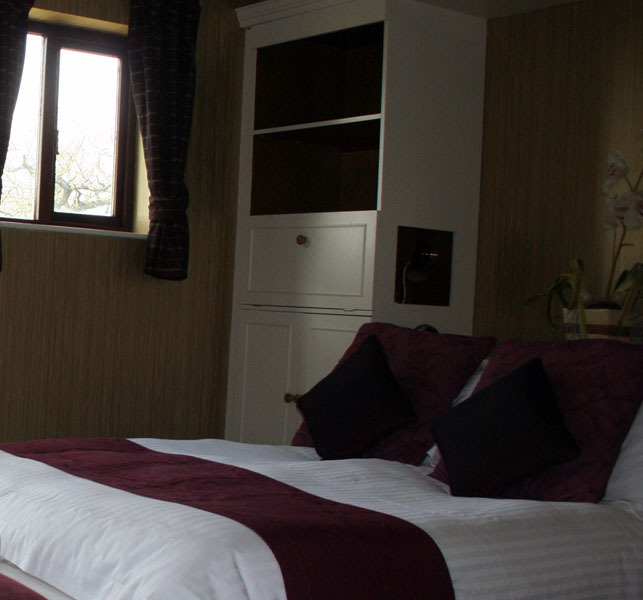 Accommodation at the Dog and Partridge is purpose built and situated in the grounds. All Suites have en-suite facilities and all rooms have flat screen televisions with freeview, tea/coffee making facilities, clock radio, direct telephone, ample heating and hot water. Bunk room for 2 and bedroom sleeping a total of 6 therefore the suite sleeping up to 8 with a lounge area in the main Bedroom. Three Bedrooms sleeping up to 6 without lounge area. This suite consists of a bunk bedroom, double bedroom and twin room. They all share the same en suite shower room located off the twin room. 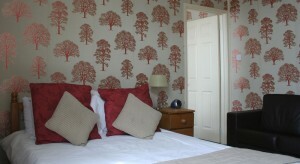 Both the double and twin room feature flat screen free view TV with DVD players and easy seating. (NB you do have to walk through the double room to reach the twin room and you need to walk through both rooms to reach the bathroom) This suite is also ideal for Adult groups as well as larger families. Located in the main inn. This family suite features one double room and one family room with double bed and bunk bed’s. Each Room has all facilities including Free View Flat Screen TV with DVD player. The bathroom is between the two rooms. This Suite does not have any lounge area. 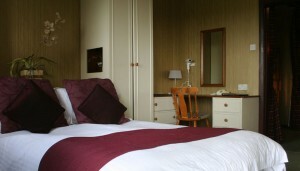 We recommend this suite option for 2 couples as each room has a double bed.